Issue 3 ships this week, written and drawn by David Finch. In order to complete the series in time for the September relaunch, Windsor’s Jason Fabok will step in as interior artist for issues 4 and 5, both of which will ship between now and the end of August. 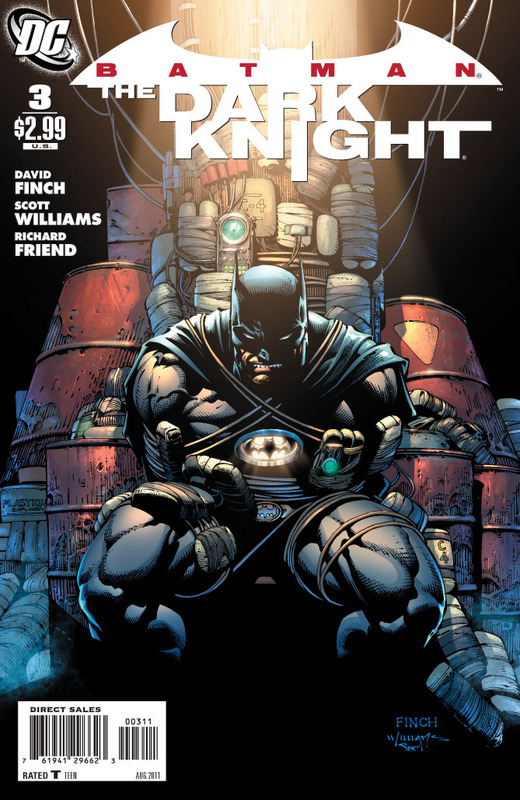 Although #1 of the September relaunch was announced as being written and drawn by David Finch, the writer for the relaunch is in fact Paul Jenkins — Jenkins has been announced as the writer for issue #2 and has confirmed that he is also writing #1, something which did not make it to the final solicitations for issue #1. Finch will continue on with the art for #1, and will do the main covers for the series. Interior art for #2 will be by Jason Fabok and Richard Friend, and it’s been intimated that Finch and Fabok will alternate as interior artists on the book. UPDATE: In other DC news, Ken Lashley will only be doing the cover to Blackhawks #2. Interior art is by Graham Nolan and Norm Rapmund. This is indicative of DC’s plan to ensure that the new titles ship on time. All creators hired on relaunched titles were told they needed to have three issues in the can by the end of August — and it looks like DC is being adamant about their deadlines threat — the book has to be ready by a certain time and if it isn’t, the assignment will given to someone else.